The Huddle supports young people in the community to gain employment through a range of innovative career programs. We combine the strengths of local businesses, the North Melbourne Football Club and the dynamic young people in our community. We implement our programs with the underlining principle that all young people, regardless of their country of origin, language, visa status or socio-economic circumstances, deserve a chance to participate in Australian society. Access to employment is key to such participation, to enable a sense of place and belonging, as well as an income that enables young people to support themselves and often their family. 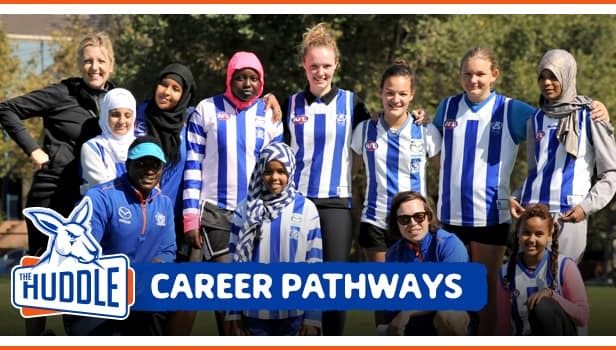 The Huddle provides a range of opportunities for young people to gain sustainable employment through innovative programs that build on the strengths of The Huddle, the North Melbourne Football Club and the strong relationships with the community. - Promoting life skills and team work, through leadership and civic participation training such as True North. - Identifying/promoting growth industries and preparing for the work opportunities of the future, through digital skills workshops and connections to industry. - Supporting young people’s educational aspirations, through the Study Support program. - Creating healthy and confident young people through sports activities such as Active Girls and Active Boys. - Promoting volunteering through The Huddle’s participants’ volunteer program and work placement opportunities. Need help in identifying what steps to make towards your dream job? Need to write a resume? Need help preparing for and applying for jobs? The Huddle can help you make decisions about what you want to study and the best way to get there. The Huddle provides one -on-one job preparedness support, providing greater focus on the individuals’ needs. Resume and interview skill support is implemented by a team of volunteers who are, where possible, matched with young people based on their professional area of expertise. The Huddle works in partnership with schools and local business to support young people to gain meaningful work experience in a range of industries. The Huddle utilises its existing partnerships to secure work experience placements for young people who may have limited networks in order to gain access to these opportunities. A key community partnership The Huddle has is with Citywide. In 2017, Citywide hosted three students from Mount Alexander College to complete work experience in their Civil Engineering and IT departments. There are a variety of work experience placement opportunities for young people involved with The Huddle. These include marketing, administration, human resources, sports management, construction, photography, and accounting amongst others. The Huddle welcome partnerships with schools and local employers in order to further provide young people from culturally diverse backgrounds the opportunity for work experience placements. The focus of the Jobs Victoria Employment Network (JVEN) is to provide employment assistance to Victorians in the labour market with little or no work experience, in order to gain sustainable employment. The Huddle, in partnership with the Brotherhood of St Laurence (BSL), is providing extra assistance to young people from culturally diverse backgrounds in the North Melbourne, Flemington, and Kensington areas via a suite of job readiness programs including resume writing, interview skills, and an understanding of the Australian work culture, in order to further develop employability skills and capabilities in order to maximise employment outcomes. Since August 2017 in the second round JVEN program, The Huddle has engaged and supported over 30 young people. The Huddle provides pre-and post-employment support for all candidates, liaising with employers and young people in order to maximise employment outcomes. The Huddle has a mandate to assist over 200 young people into employment within the next three years. The Huddle welcomes young people seeking assistance with employment to contact us and schedule an appointment with a dedicated and skilled staff member. 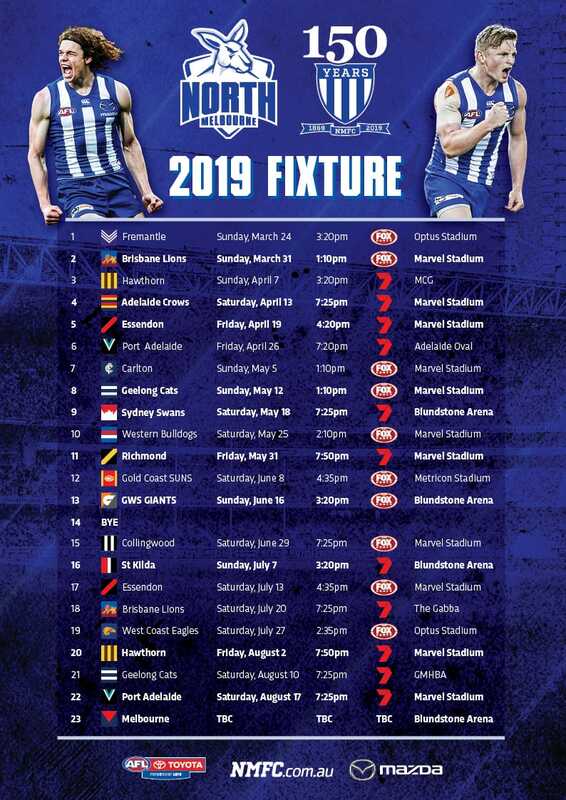 Police officers have teamed up with North Melbourne Football Club to run a program that aims to combine basketball with practical advice and setting youngsters on a path to finding a job. With her sights set firmly on becoming a Chemical Engineer, 18-year-old Robel visits The Huddle study support program each week to get tutoring assistance for her Year 11 Chemistry and English subjects. “I don’t have anyone at home to help me and it releases my stress for when I can’t do my homework,” Robel said. Arriving in Melbourne with her brother when she was 14, Robel has been involved in Huddle programs for three years – playing football, learning to ride a bike and taking part in the inaugural Work Expo in July 2015. The Work Expo brought together 200 young people and 40 businesses with the aim of connecting local businesses with future talent. It grew out of The Huddle’s True North program, and was designed and delivered by young people in response to the growing gap between education and finding employment. Robel said the Work Expo prompted her to look more closely at a career in engineering.